Welcome back to a new term. We hope you have all had a good Christmas break. Sam Lonsdale has left Discovery Vine because he has managed to secure a full time post as a teaching assistant in a school. Sam is hoping to go back to university in September to study towards becoming a primary school teacher so this move will give him valuable experience. He has asked that we pass on his regards to you and tell you how much he enjoyed working with the children in the club. We are pleased to have Chloe Jones working every day now and she has agreed to be the key worker for Reception and year 1 & year 2 children who attend the After School Club. Lizzie Garbutt has also been working in the club to cover a staff vacancy that we have. 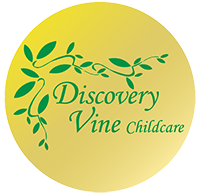 we are looking for another qualified and or experienced member of staff, if you know anyone who would like to join our staff team please email jane@discoveryvine.co.uk. We are pleased to have Rachel Higginson as a student volunteer working in our After School Club on Mondays his term. Rachel, from Ripley St Thomas CE Academy is a former member of the club and is working towards The Duke of Edinburgh’s Award. During January we are introducing some problem solving activities to the children in the club as they continue to complete the challenges in the challenge file and take on the ‘Locked Box Challenge!’. We will also be celebrating Chinese New Year. As the school’s clubs re-commence after the break we respectfully ask that you inform us if your child / children will be taking part in any of these. We work very closely with school staff at the end of the day to ensure all children get to where they are meant to be, but it can be a very hectic process for us and the school if we have to keep asking which children are in the clubs. Welcome back to a new term. We hope you have all had a good Easter break. We are pleased that Kate Valiant will start working in our After School Club from Monday 25th April. Kate works in school as a teaching & welfare assistant so will be a valuable addition to our staff team. We have 3 student volunteers working in our After School Club this term. They are from Garstang Community Academy and are working towards The Duke of Edinburgh’s Award. Emily is helping us out on a Monday, Will on a Wednesday and Joseph on Thursdays. You might have noticed that we have had a good clear out over the Easter Holidays (and that the cupboard is tidy!) We are in the process of re-stocking with new toys and equipment.